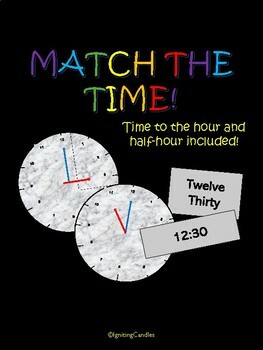 Use this fun and engaging matching game to review telling time to the nearest hour and half hour! This product can be used to review for assessment, or as activity to use at an independent station. 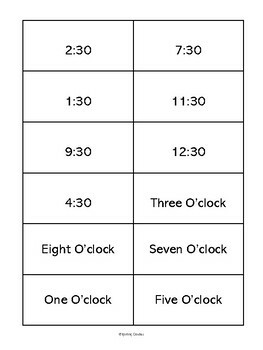 Inside you will find 20 different analog clocks that show time either to the nearest hour of half-hour. 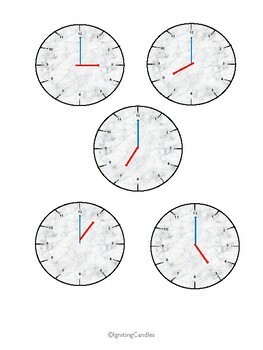 Paired with these analog clocks are matching cards that challenge students to identify the digital and word-form of the analog times.